Did You Miss Your Appointment? Never miss an appointment again. 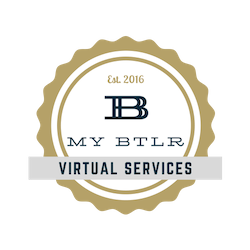 Your virtual assistant can help you stay on track. With a virtual assistant, missed appointments can be a thing of the past. Setup a shared calendar and let your virtual assistant manage, schedule, and arrange your calendar. By allowing your assistant to handle the back-and-forth of setting up appointments using a cloud-based calendar, she can sync directly to your mobile phone — instantly updating you. While you're busy doing other work, your assistant books meetings, appointments, and creative time. And your virtual assistant can provide verbal or text reminders if you choose, so you never miss another meeting.